The ATR2100-USB is an inexpensive dynamic vocal mic suitable for live performance as well as home recording/podcasting. It has twin output interfaces — analog XLR as well as bus-powered USB digital. It is one of only three dynamic USB microphones on the market (and one of only two moving-coil dynamic USB mics). The onboard ADC is a 16-bit device, capable of 48 kHz sample rates. It is powered not by phantom power via the XLR jack, but rather by USB bus power. An onboard headphone jack provides zero-latency monitoring of the microphone’s output. 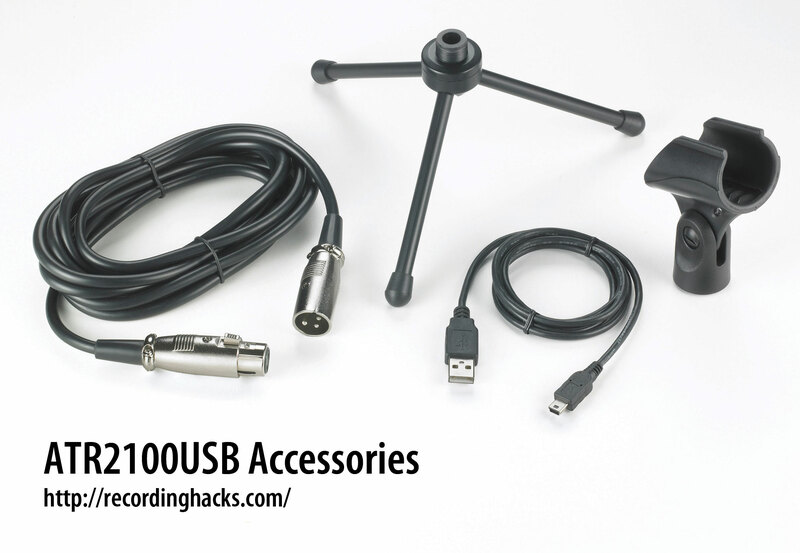 Note that unlike higher-cost USB microphones, the ATR2100 does not provide a DAC for playback of prerecorded tracks through the mic’s headphone jack. A rotary control on the bottom of the microphone allows adjustment of headphone volume. 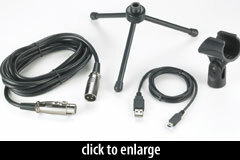 The mic includes a small tripod desk stand, XLR cable, USB cable, and mic clip, plus a lifetime warranty.